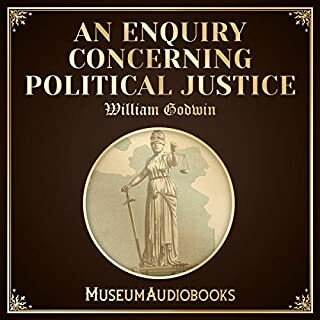 An Enquiry Concerning Political Justice is Godwin’s most famous work of political theory. Written in the early years of the French Revolution before the Terror had begun, Godwin provides a fierce critique of unjust government institutions, and he proposes that individuals are better able to provide for their own needs. He believed that political change could be brought about gradually and as a result of free discussion in small communities. 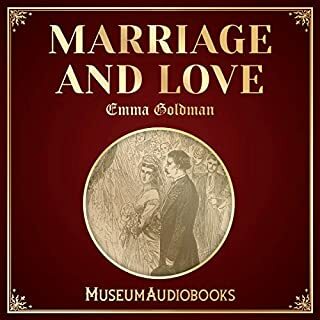 In this piece, Goldman writes that marriage is an artificial institution that benefits the patriarchal power structure. She claims that marriage stifles both men and women in their love lives and personal expression. She lists the ways that marriage adversely affects married individuals. 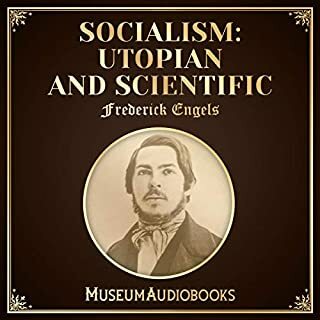 The book explains the differences between utopian socialism and scientific socialism. Engels claimed that scientific socialism derives from reality and is based on the materialist conception of history. Engels begins by describing the thoughts of Saint-Simon, Fourier, and Robert Owen. In Chapter Two, he discusses dialectics, and Chapter Three is a summary of dialectics in relation to economic and social struggles. 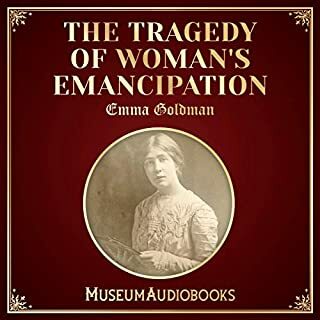 In her essay "The Tragedy of Woman’s Emancipation", Goldman argues that the notion of woman’s emancipation seems to reinforce social antagonism brought about by existing interests. She claims that, in light of the reorganization of social life based on the principles of economic justice, the artificial boundary lines between men’s and women’s rights would disintegrate into a perfect whole. The first skirmishes are already being fought. 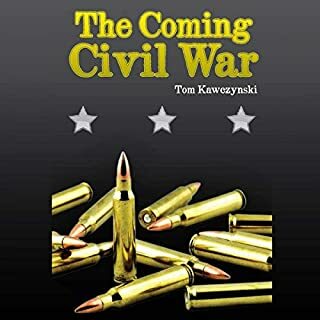 The crisis America faces is between two incompatible visions of the future, and a nation sharply divided between them. Will we become this diverse beacon of tolerance where we forget our past and embrace socialism and political correctness? Or, will we stand for our traditional beliefs, values, liberty, and sovereign government as free citizens our Founders did? 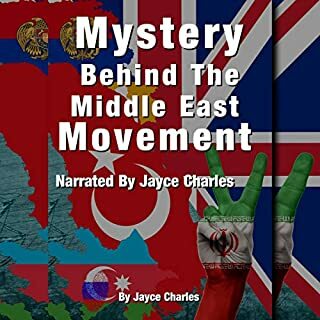 I took on a journey in the Middle East, where I was about to discover the truth, what we in the Western world had been taught to think regarding Muslims and the Middle East. 9/11 occurred, then 7/7. Somehow something was not right. I noticed a long buildup, then two major events soon enough terrorists and ISIS came about; the word terrorists has been changed over the years in the dictionaries, and ISIS is an outrageous misuse of words against women. In this essay, Emma Goldman expresses her opposition to women’s suffrage, as she was opposed to all forms of government. She disagreed with the argument of many suffragists that women's participation would clean up a corrupt political system. Women's suffrage, Goldman believed, would at best be irrelevant and at worst, it would divert attention from more important issues. For the last 20 years, Melinda Gates has been on a mission to find solutions for people with the most urgent needs, wherever they live. Throughout this journey, one thing has become increasingly clear to her: If you want to lift a society up, you need to stop keeping women down. 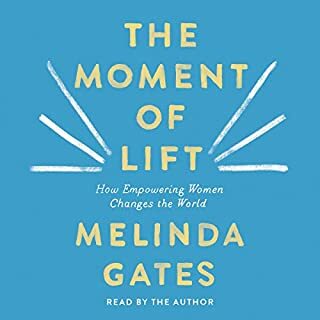 In this moving and compelling audiobook, Melinda shares lessons she’s learned from the inspiring people she’s met during her work and travels around the world. America’s story is one of great social achievement. From the abolitionists who fought to outlaw slavery, to the suffragettes who championed women’s right to vote, to the civil rights proponents who battled segregation and institutionalized white supremacy, to the proponents of the women’s movement and gay rights seeking equality for all, citizens for generations have risen up to fulfill the promise of our nation. Over the course of America’s history, these activists have both embodied and enacted the nation’s deepest values. This bk inspired me to be active in my community! Since 1946, Henry Hazlitt's best-selling Economics in One Lesson has popularized the belief that economics can be boiled down to one simple lesson: market prices represent the true cost of everything. But one-lesson economics tells only half the story. It can explain why markets often work so well, but it can't explain why they often fail so badly - or what we should do when they stumble. In Economics in Two Lessons, John Quiggin teaches both lessons, offering a masterful introduction to the key ideas behind the successes - and failures - of free markets. The United States was once the hope of the world, a beacon of freedom, and the defender of liberal democracy. Nations and peoples on all continents looked to America to stand up for the values that created the Western world, and to oppose autocracy and repression. But as Bernard-Henri Levy lays bare in this powerful and disturbing analysis of the world today, America is retreating from its traditional leadership role, and in its place have come five ambitious powers, former empires eager to assert their primacy and influence. 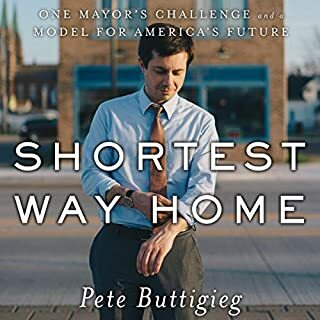 The only book with exclusive analysis by the Pulitzer Prize - winning staff of The Washington Post, and the most complete and authoritative available. Includes a PDF of documents and other reference materials. 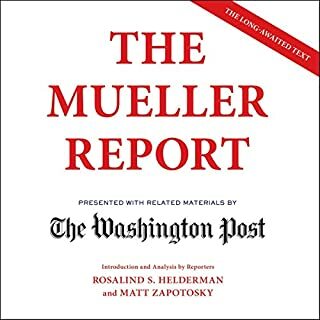 Listen to the findings of the Special Counsel’s investigation into Russian interference in the 2016 election, complete with accompanying analysis by the Post reporters who’ve covered the story from the beginning. Russell Kirk begins this classic, orginally published as The Intelligent Women's Guide to Conservativism, by defining a conservative as "a person who believes there is something in our life worth saving." 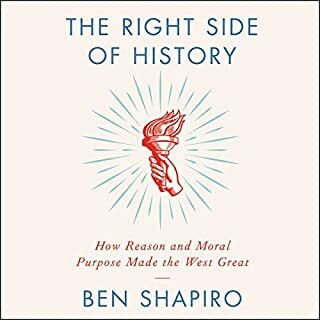 From there Kirk embarks on a brilliant and witty explanation of conservative political philosophy that remains one of the best books written about conservativism to this day. In The Private Production of Defense, Hoppe takes on one the most difficult subjects in economic and political theory: the provision of security. Addressing those who would claim that only the state can and should supply society with the service of protection, Hoppe argues that in fact it is better provided by free markets than government. In the process he tackles a hundred counterarguments. Here we have an important and exhilarating update and refinement of an argument rarely made even in the libertarian tradition. Wherever you turn - Europe, Russia, China, Korea, Syria, the Middle East - we are living in a time of global geopolitical power plays. Once an insider to this closed world, Pedro Baños reveals that however it might be smoothed over by the PR of political diplomacy, the world of geopolitics is one of war and conflict by strategic means, where countries have sought dominion and power over their rivals since the dawn of time. Despite representing the beliefs of a minority of the American public on many issues, conservatives are in power not just in Washington, DC, but also in state capitals and courtrooms across the country. They got there because, while progressives fought to death over the nuances of policy and to bring attention to specific issues, conservatives focused on simply gaining power by gaming our democracy. They understood that policy follows power, not the other way around.